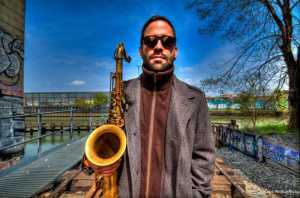 Multi-award winning saxophonist Abraham Mennen fronts a fine quartet consisting of drummer Claude Cozens, guitarist Reza Khota and Ariel Zamonsky on bass this Sunday 14 April 2019 at Guga S’thebe Cultural Centre in Langa from 3pm. 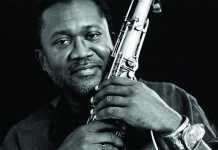 Abraham performs regularly in New York and throughout South Africa, and has recorded three albums under his own name. He has enjoyed a varied musical career thus far. 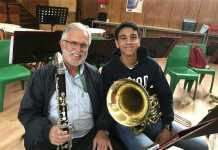 As a soloist, he won gold medal at the ATKV Muziq 2011, Overall Winner at the Wakkerstroom Music Festival 2012 and performed concertos with the London Contemporary Orchestra, The Royal College of Music Chamber Orchestra, the Johannesburg Symphony Orchestra and the KwaZulu Natal Philharmonic. Other areas of music include performing with conceptual performance outfit The Brother Moves On, being musical director and bass clarinettist of the Korean music group Hapum Haneun Hama, saxophonist in the psychotropical punk band Escarioka Crew, building and curating his own sound installations, and composing and recording for animations, short films and advertising. 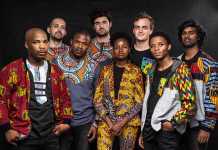 Abraham Mennen is a founding member and musical programme contributor of the intersectional creative and educational space, The Interim, in Cape Town. He is an alumni of the Royal College of Music, London and the New England Conservatory, Boston.